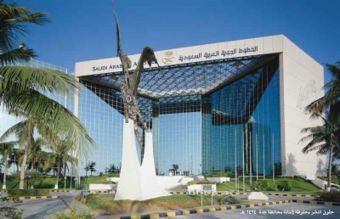 Saudi Arabian Airlines is the national flight carrier of Saudi Arabia with main base in Jeddah. The airline company serves well over 70 scheduled domestic and worldwide destinations around the globe. Saudi's primary main international gateway is located at Jeddah-King Abdulaziz International Airport (JED) with other major hubs including Riyadh-King Khalid International Airport (RUH), and Dammam-King Fahd International Airport (DMM). 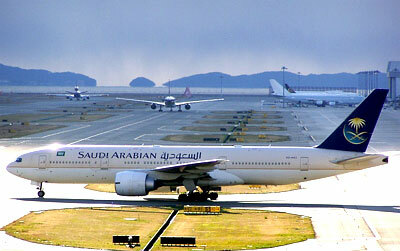 Saudi Arabian Airlines fleet consists of aircraft types of Airbus A300-600, A320, Boeing 747, Boeing 777 Embraer 170. Boeing 737 (200/200C/200QC), Boeing 777-200, Airbus A320-100/200, McDonnell Douglas MD-90, Airbus A321-100/200 and Boeing 757-200 Passenger. In the year 2006, Saudi Airlines started privatise itself by dividing itself into Strategic Business Units(SBU). After more than a year later, in August 2007, the strategic units turn into other subsidiary companies such as air cargo, technical services, catering unit and a few others. Saudi Arabian Airlines have code share agreements with several other flight carriers for various routes such as Gulf Air, Syrian Arab Airlines, Egypt Air and Qatar Airways. Check flight schedule, flight status directly from Saudi Arabian Airlines official website. You can also check on the cheapest airfare, flight schedule, flight status, airlines offices, contact number, airlines packages, air cargo partners, air ticket prices and booking procedure, international airfares, frequent flyer and other flight information and travel deals and packages. When you are making an airfare booking, select from either economy airfares, business class airfares or first class airfares whichever you prefer. Have a pleasant flight journey and enjoy your holidays or business trip!